With the ID Maker® Value Starter Kit, you get the basics for a small ID Program. Basic ID printing software with a 200-record limit. 60 days of support will help you get up and running in no time. Questions about photo ID badge systems? 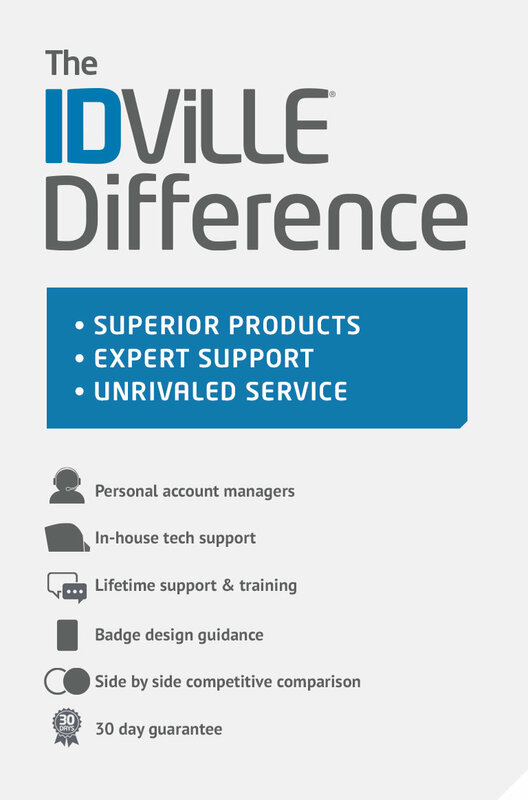 Chat live with an IDville specialist or request a free system information packet. The Complete One-Box ID Maker Value System includes fully-functional software with unlimited database records, lifetime technical support and loaner service to keep your printer up and running, and an HD webcam for professional looking photos. 60 days technical support and training are included. System includes: ID card printer, 100 blank PVC plastic cards, 100-print YMCKO printer ribbon, and a printer cleaning kit. Weight: 16 lb. 12 oz.